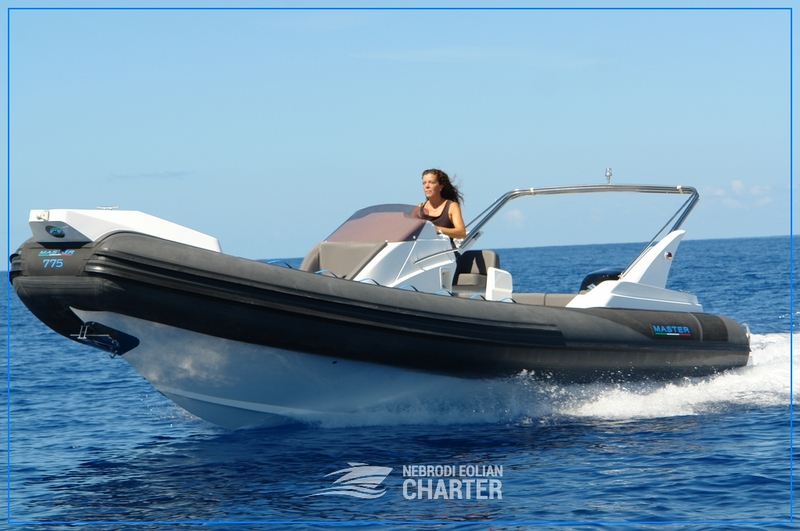 Our fleet of RHIB is composed of new boats in perfect conditions, with constant and rigorous checks and regular maintenance. Ideal for wonderful days in the seas of Sicily, most of them do not require a boat license. Rent a boat from us, our professionalism and expertise, along with unparalleled assistance, will allow you to enjoy our seas in complete safety. On board computer, outboard motor, hydraulic steering, outdoor shower, ski lift ladder aft, refrigerator, cushions, bow and stern sundeck, sunshade, full safety equipment as required by law, hi-fi stereo with USB input, battery charger USB-Cigarette lighter, LED courtesy lights and depth lights. Toilet and sink, GPS, depth sounder, WHF, last generation electronic motors, electric windlass, digital on-board computer, outboard motor, hydraulic steering, outdoor shower, ski ladder aft, refrigerator, cushions, sundeck bow and stern, awning, complete safety equipment as per regulations, stereo hi-fi with USB input, USB charger-Cigarette lighter, LED courtesy lights and depth lights.